Hello dears! 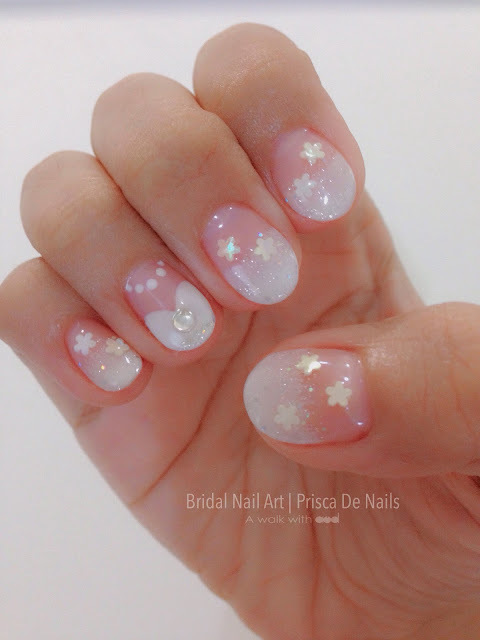 I am back with a post on my wedding nails. 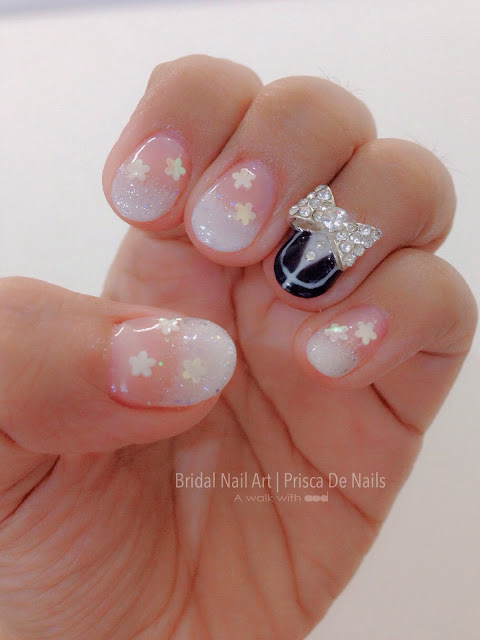 Many of you has been asking about my wedding nails after I posted it on my social media, so here's the post. Due to my tight schedule, I wasn't able to visit the salon. Luckily Joan was able to do a home visit to help me with my nails. It's really not easy as she needs to bring lots of stuff to my house. Thank you so much Joan! 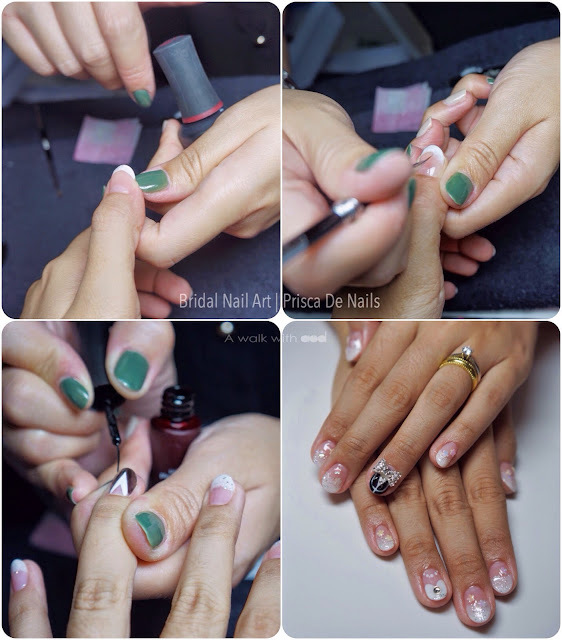 I had my previous nail arts on, she she first clean it for me with simple basic manicure treatment. Joan was very nice, she noticed that my left thumb nail was a lot shorter than the rest so she did an extension for me using soft gel. It's a bit burning hot when I placed my nail into the LED light machine and when she was trimming the extension but it's still bearable. Look! After extension its much longer and looks super real! You can't really tell if I didn't mention. 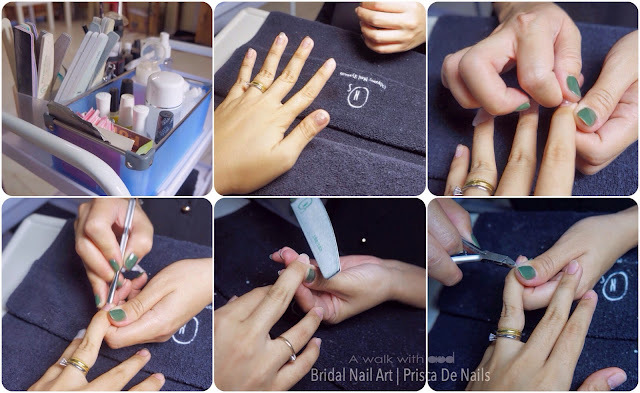 Actually, I gave her a photo of the nail art that I wanted for my wedding before the appointment date so that she can get a feel of what I want and secondly she will know what to bring to my house. I've been to quite a few different nail salons, many times the nail artist can't really deliver the same as photos if you ever show them one (maybe just the ones I've met) but to my surprise, Joan was able to do it! It's a 95% similarity to the photo I've shown her. I was so glad that I got her to do my nails! Tadah! The end result. It's super lovely isn't it? The whole session took around 2 hours. I did my nails a week before my wedding day, and the nails looks perfectly great on that day (I was very worried but Joan ensure me that it will look just great!). Nothing fell off from my nails. In fact, this nail lasted for more than 1.5 months before it started to peel. I wonder why the beads are so long lasting, Joan says she uses soft gel to seal the beads so its much lasting compared to glue or nail polish. 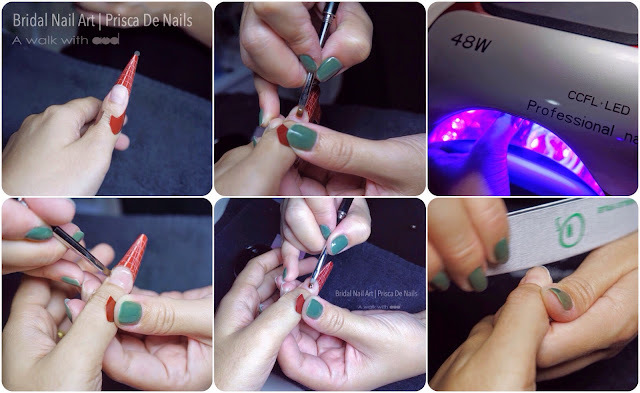 If you love my nails (I super love it), and would really give it a try, contact Joan at 016-7720126. Trust me, she is really good. Hehe, thanks Laura!! The nail artist did a great job!